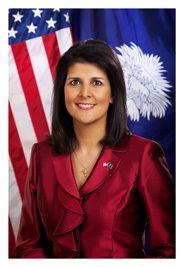 FFA - South Carolina citizens sue Lutheran Services Carolina and Governor Nikki Haley for allowing Syrian Refugees. The email for this article has been deactivated . South Carolina has been at the forefront of the battle against President Obama’s refugee resettlement plans for nearly a year, with grassroots activists fighting not only the White House but their own Republican Gov. Nikki Haley. Since that time, it has become apparent to South Carolina conservatives, including many who voted for Haley, that she is a supporter of Obama’s drive to convert millions of recent immigrants into “new Americans” by the time he leaves office, using not only the United Nations refugee pipeline but also a steady influx of illegal immigrants from Central America. Haley has supported the president’s plan to bring in refugees from jihadist hotspots like Syria and Iraq, the activists say, while also quietly embracing Obama’s resettlement of illegal Central American children in their state, using the family courts to secretly place them in communities without their knowledge or approval. So now they’re taking their battle against Haley into the courtroom, filing a lawsuit against the governor, the State Department of Social Services, and two church-based organizations that help the government transplant refugees not only in South Carolina but dozens of cities and towns across America. South Carolina was one of the first states to protest President Obama’s plans to bring 10,000 Syrian refugees to the United States for permanent resettlement, but those refugees have now started to arrive despite the absence of an official welcome mat. 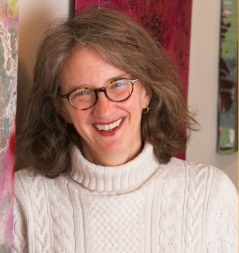 The uprising grew so intense this past summer that Secretary of State John Kerry dispatched his top refugee official, Assistant Secretary of State Anne Richard, to Spartanburg to quell the backlash against Muslim migrants. Republican Gov. Nikki Haley, who initially supported the resettlements in her state, changed her mind after the attack on Paris that killed 130 people in November. Those attacks were carried out by eight Islamic terrorists, including one who entered Europe as a “refugee.” Haley joined more than two dozen other governors who told the Obama administration they didn’t want any Syrian refugees. But none of that protest has stopped Obama’s plans from going forward. The Syrians continue to arrive not only in South Carolina but nationwide, Richard said. A pair of Syrians were secretly planted last week in Midlands, near the state capital of Columbia, without even the governor’s office being notified. And more Syrians are on their way to the Palmetto State, the South Carolina Department of Social Services confirmed to WND. The Syrians are being resettled in South Carolina by Lutheran Services Carolinas, a private agency affiliated with Lutheran Immigration and Refugee Service, one of nine contractors who receive hundreds of millions in federal taxpayer money to resettle foreign refugees in the U.S.
SCOLUMBIA ─ Syrian refugees are being settled in South Carolina, despite a request from Gov. Nikki Haley that they not be placed in the state because of security concerns. 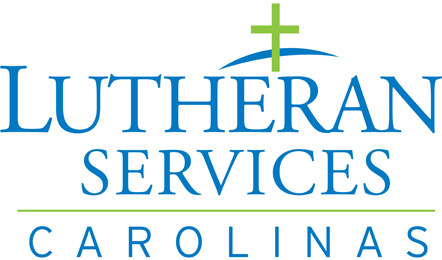 According to the state Department of Social Services, which manages and administers federal funding for refugee programs, earlier this month one pair of Syrians was settled in the Midlands through Lutheran Services Carolinas, a private resettlement agency in the state that assists refugees, and more Syrians are on their way. It is very troubling that Lutheran Services Carolina and Lutheran Immigration and Refugee Service are not making it a priority to keep the people of America safe by not accepting Syrian refugees. Florida Family Association has prepared an email for you to send to express concern to Lutheran Services Carolina, Lutheran Immigration and Refugee Service and Governor Nikki Haley regarding the placement of Syrian refugees..